4heating-cooling.com is proud to offer expert heating and cooling services. Our professionally trained and certified Heating Tech’s have the know-how to complete any HVAC task you require. 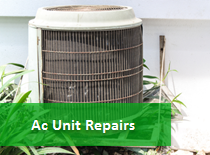 We can repair, replace and maintain boilers, furnaces, air conditioners, radiant heaters, thermostats and a long list of other heating and cooling products. 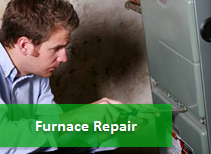 In addition, we offer 24 hour emergency heating service. Keeping the tradition of offering our customers top notch service at a price that fits anyone’s budget is how we operate. We can offer you a free estimate for a new furnace or central AC system in your home our business. 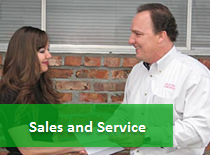 We offer service to both residential and commercial customers. Our focus is to gain a customer for life. Don’t hesitate to pick up the phone and call us at any time of the day. Keep your furnace and AC units clean and maintained. Did you know that have a dirty furnace can cost you more in energy bills? HVAC systems our built to last only if you regularly maintain and clean your system. Replacing an old and worn out furnace and AC with a high efficient system, can save home owners up to 50% or more on their monthly electric and gas bills. Do allergens and dust bother you when your in your home? It may be time to have a professional air duct cleaning or furnace tune-up. Replacing your filters every month will help ensure much of the dust, pollen and dander is not spread throughout your home. But just changing your air filter is not enough for many older HVAC systems. There are many ways air ducts can become dirty and even possible hazardous. It is recommended that every 7 years have a professional air duct and furnace cleaning come inspect your furnace and air ducts to see if they need cleaning. Take the frustration and worry out, hire the perfect HVAC company. We have Service Partners all across the US that are ready to provide you with Free Estimates for most heating and cooling problems. Our knowledgeably phone staff is equip with all the costs and averages for most HVAC jobs. Take the worry out of over paying for a new furnace or AC by making our Service Partners compete for your valued business. We have help thousands of home owners find incredible deals and discounts for many HVAC projects simply by using our FREE SERVICE. Call us anytime, day or night, and we can make the process of finding a heating and cooling professional as easily and affordable as possible.